I have done mail in rebates in the past but nothing like this really – usually its for a computer part I am already buying. I saw people talking about the Physicians Formula mail in rebates online and thought I would give it a shot. 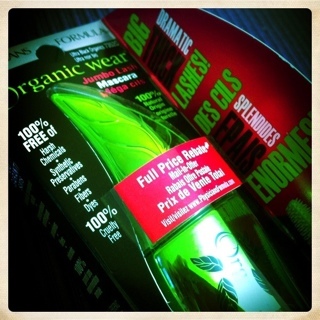 It took a bit of looking to find the eligible product I wanted: Physicians Formula Organic wear Jumbo Lash Mascara in Ultra Black. Some of the Physicians Formula mail in rebates are full price and some are partial prices – the mascara is full. 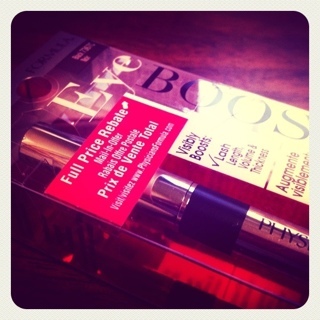 I wanted to try it with the mascara since it is a product I always use and wouldn’t be too upset if I didn’t the rebate. Although I usually buy mascara for less then half the price. I figured I would give it a try. To get your rebate the product MUST HAVE the pink rebate sticker. *fingers crossed* my rebate comes. While I was dropping my my rebate in the mail I found the Physicians Formula Eye Booster 2-in-1 Lash Boosting Eyeliner + Serum in black with the rebate sticker. I decided to buy it and give it a try too. I can’t believe how expensive these products are; looking forward to trying them out! This entry was posted in mail in rebate, makeup and tagged mail in rebate, makeup on November 21, 2011 by Courtnie.